The other day a friend saw I had a bowl of nasturtium leaves on the bench, along with other salad ingredients. "Are those a vegetable? ", she asked. She was very excited when I said they were - she has lots of them growing in her garden and thought they were 'only a weed'. Inspired, I enthusiastically showed her the oxalis that was going into the same salad. She was positively ecstatic about that one: apparently it tastes very similar to a herb from her Thai homeland that she hasn't been able to find in New Zealand! 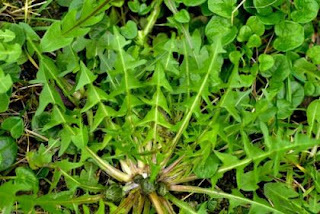 I love edible weeds like these: delicious herbs that show up of their own accord and thrive without care in our garden. Here are some of my favourites. Not really a weed in our case, as we did plant our first plant; but that plant is long dead and those we have now are its self-seeded successors :-) The leaves are peppery (the smallest ones are the hottest) and I love them in salad or sandwiches. 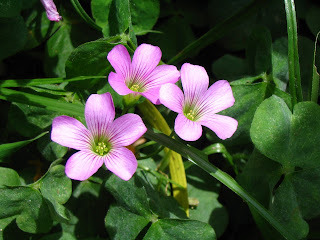 The flowers are also edible but don't taste of much. They make a pretty addition to a salad. The immature seeds, when pickled, make 'mock capers'. I used to make them 'properly', boiling them with vinegar and herbs. These days I just keep a small jar of vinegar in the fridge and add nasturtium seeds to it when I come across them. 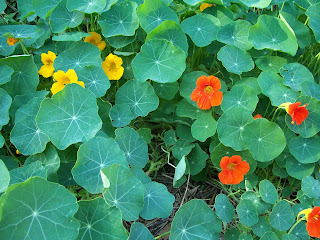 Read more about finding and eating nasturtiums here. I use all three species interchangeably. They're quite sour, so a little goes a moderately long way. They're great in salad and, as their flavour stays strong even after a fair bit of cooking, great in soups and stews, too. Apparently they're also ideally suited for some Thai dishes: I'll need to ask more about that next time I see my friend! Read more about how to use it and how to identify it here. Note that it does have oxalic acid in it (the same chemical that makes rhubarb leaves poisonous), but you'd have to eat a kilo or more in a single day to get poisoned! 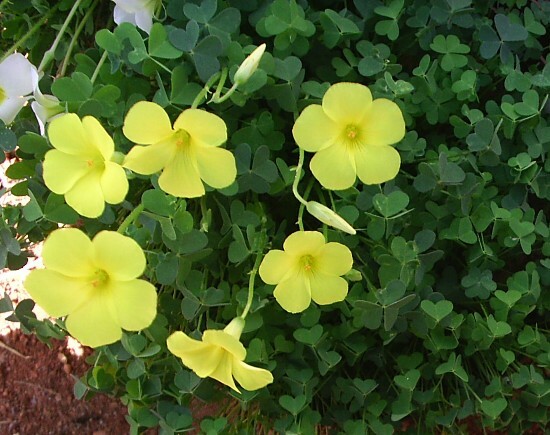 The only people who need to worry about the oxalic acid in oxalis are people who have gout. This was a fantastic discovery a few years ago. 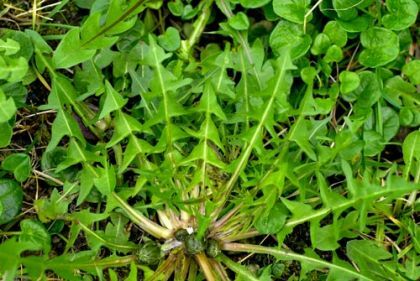 Chickweed has quite robust leaves (not tough, but firm and thick - they must have a lot of water in them) and makes for great sturdy salads. We haven't had much this year, but the last few years it completely took over our garden: it was the main ingredient in my daily bowl of salad for the whole winter! It has a slightly soapy flavour that some people find unappealing, but I like it very much. People also use it to make pesto, but I'm just as happy to eat it without further processing. Read more about its culinary uses here. Chickeweed also makes an excellent ground cover for the winter garden. 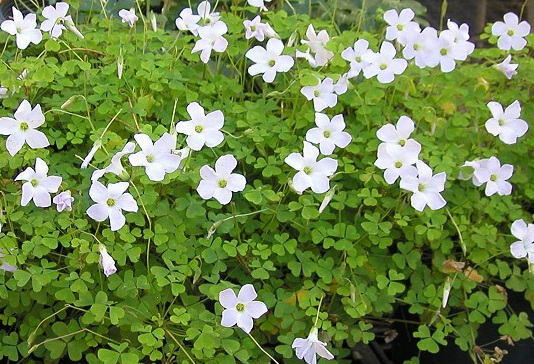 It grows as a dense mat, crowding out any other weeds. When you want to clear the bed and plant something else it comes off easily in great sheets, leaving the ground clear for replanting. I was astonished when I learned onion weed was edible. I used to think of it as pretty but stinky and annoyingly abundant. These days I delight in how well it grows! It's just about taken over our lawn and I'm not complaining. Just be sure it's onion weed you're eating. The flowers should be white (not pinkish) and there should be green stripes down the middle of the petals and no green dots around the edges. Learn more about finding, identifying and eating onion weed here. 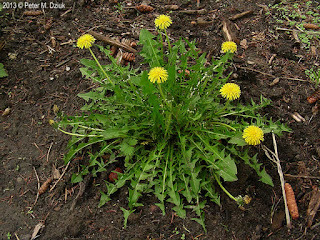 You can pickle unopened dandelion flower buds. Pick them when they're small and nestled in the centre of the crown of leaves, as in the picture above - make sure no yellow petals have started to show. 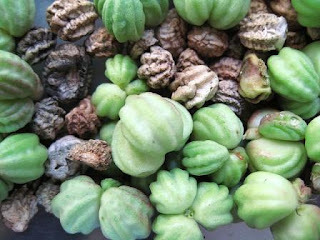 I add these to my little jar of vinegar in the fridge, along with the nasturtium seeds. Technically, the flowers are also edible: people fry them and dip them in sugar or use them to make jam. I don't think they have much flavour, though, so I don't bother. 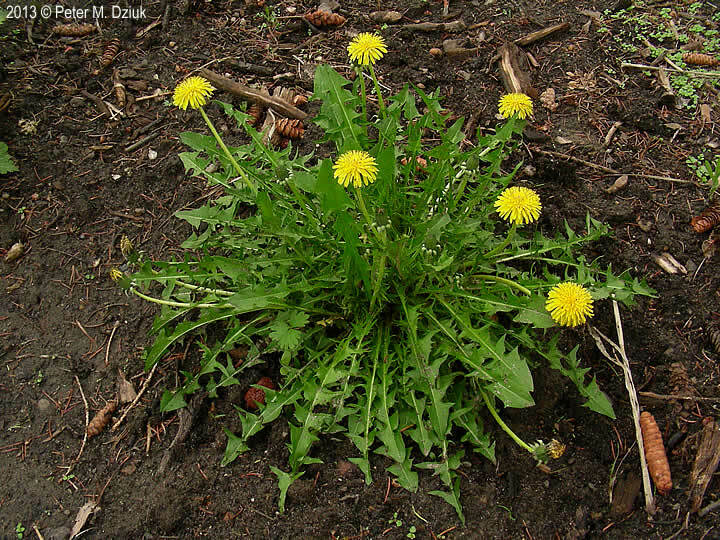 Read more about other ways to eat dandelions here. Our garden also usually sports some cleavers, which I don't much like the taste of, and generally don't like having around: the leaves have little hairs on and cling to everything. Apparently it's good for you and some people add it to smoothies. From time to time we get puha, although generally not enough to do anything with. It's great in clear soups and stews (including the delicious classic pork and puha), but it wilts down phenomenally so you need to have a lot before it's much use. We also have loads of dock (thanks to our heavy clay soil and general neglect of the garden). I recently learned this was edible and am keen to try it some time - if it's nice, I may start to look on it more favourably! 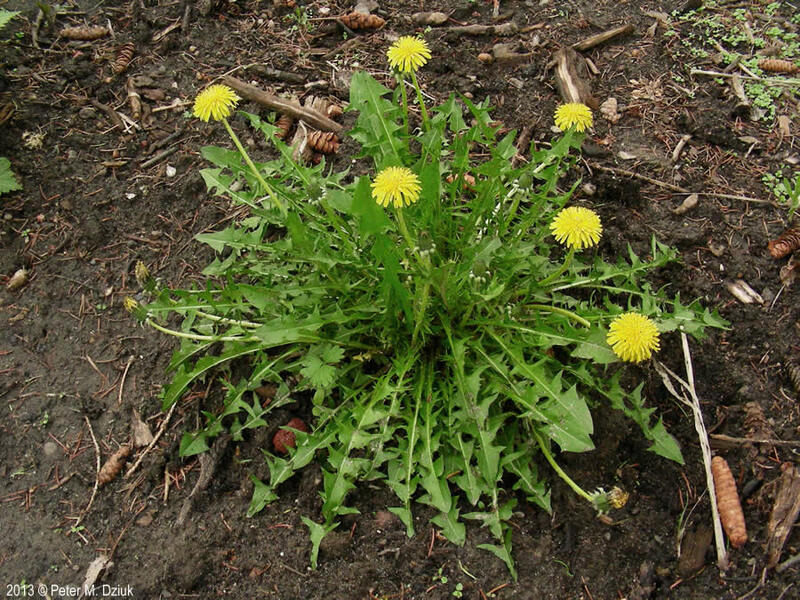 Maybe you've got some of these weeds in your garden, too. If so, I urge you to give them a try: you may come to like them as much as I do. And, if you're interested in such things, take a look at Johanna Knox's wonderful Wild Picnic blog: a record of edible wild plants she's found in the Wellington/Wairarapa region, with notes on both identification and what to do with them. I learned about most of the edible weeds in our garden from her.